We put safety at your feet! 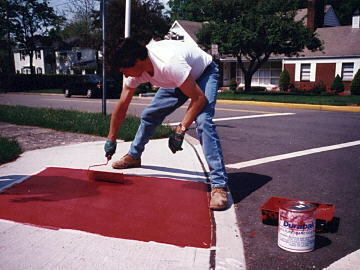 DURABAK™ should be stirred thoroughly before applying (preferably with an electric paint mixer). Application can be completed by a single worker. 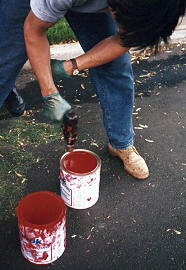 DURABAK can be applied with a brush or roller. Apply DURABAK™ with special, open-foam stipple roller (available through COTE-L Industries or an authorized DURABAK™ dealer). Use only a DURABAK™ special stipple roller — other rollers will not pick up and spread DURABAK™ evenly. Rollers are available in 9" and 4" sizes. DURABAK™ is in use in and around many public facilities. 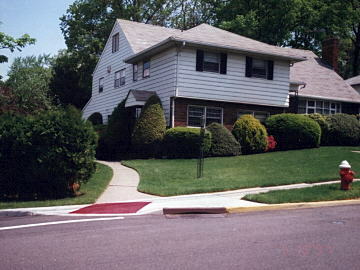 DURABAK™ has been spec'd by NJ DOT for curb ramp delineation in compliance with Americans with Disabilties Act requirements. 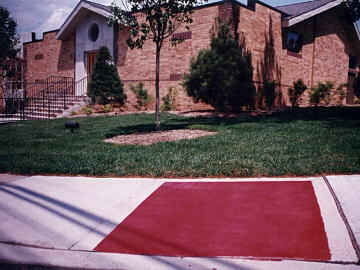 DURABAK™ is used on curb ramps in many residential areas for its protective, non-slip properties.